-Europa Report- This indie space voyage sci-fi impressed the heck out me for how authentic they were able to make the film feel (they consulted NASA & Space-X) and what they were able to do with such a small budget (reportedly less than $10 million). Combine all that with a fascinating and tense storyline and Europa Report made a fan out of me. -Side Effects- Steven Soderbergh, another director I’ve been up and down about over the years, came to play with this naughty little crime thriller that remained just as tense and entertaining upon second viewing. -Gravity- The cinematic experience of 2013, Alfonso Cuaron’s 3D space adventure will be a film talked about for years to come. However, what made it so impressive to see, the immersive 3D experience, is also what kept it out of my Top 10 because I won’t be able to re-create that experience again at home, and I’m afraid without it the film won’t hold up as well to re-watches. -American Hustle- Great performances from top to bottom highlight this 70’s con-man spectacle. For a director who’s early career I wasn’t amazingly impressed with, his last two efforts, American Hustle along with Silver Linings Playbook (my #2 for 2012), are starting to sway me to his side. -To The Wonder- Many people didn’t appreciate the uniquely minimalist narrative style writer/director Terrence Malick chose to use in this film. I on the other hand found To The Wonder to be dreamlike and thought provoking and marveled at Malick’s wondrous ability to convey so much emotion with so little dialogue. -Philomena- Another film that tugs at the heartstrings, I loved Judi Dench’s performance, and if I had my choice, I’d personally give the Best Actress to her over Cate Blanchett, who is all but a lock for the Academy award this year. -12 Years A Slave- A moving portrayal of survival with powerful performances that just missed my top 10 mainly due to the re-watch factor, I’m just not sure how often I’m going to want to sit and watch some of the brutal violence that is was filmed. 10. Short Term 12– This tenth spot was for the longest time held by the ever impressive 12 Years a Slave, a film that stands the best chance to be awarded the Oscar for Best Picture on March 2nd. However, at the last possible minute the wonderful indie film Short Term 12 was delivered to me from my movie pusher, Netflix. And thank god that it did. From the opening scene, this touching and cathartic film about a foster care facility worked its emotional magic on me. I am now a self proclaimed Brie Larson convert, as she was a true revelation on-screen. A frustration countless film fans have shared many a time is it’s a shame great independent films like this don’t get a nationwide release so more people can enjoy this little gem. 9. 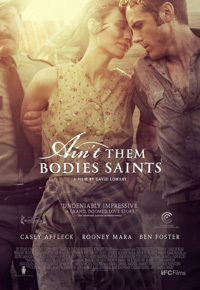 Ain’t Them Bodies Saints- It’s not very often that a director can out Malick legendary auteur Terrence Malick, but that’s just what David Lowery did with this gritty modern western filled with outstanding cinematography. Cut from the same mold that made films like Bonnie & Clyde & Badlands so great, this is another personal inclusion on my list that I foresee some taking issue with. But I really loved this film, and it is my hope that this Rooney Mara, Casey Affleck led outlaw tale will eventually find an audience that truly appreciates the greatness that it brought to the screen. On a side note, what an outstanding year for Rooney Mara with not only Bodies Saints, but great supporting roles in Her and Side Effects (see HONORABLE MENTIONS). 8. 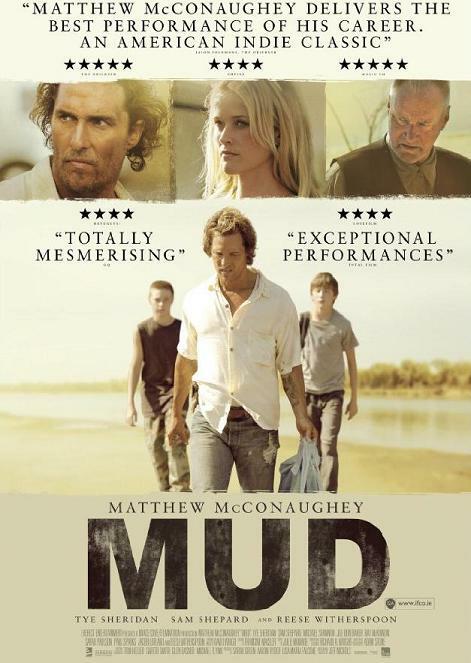 Mud- I truly anticipate that movie fans are going to look back at 2013 for years to come and marvel at what a year it was for the resurgent Matthew McConaughey. As impressive as his Dallas Buyers Club and Wolf of Wall Street performances were, his portrayal in Mud is my favorite for the year. Described by writer/director Jeff Nichols as a Sam Peckinpah directed film of a short story by Mark Twain, Mud is a humorous and heartfelt backwater drama not only highlighted by McConaughey, but also by two young actors, Tye Sheridan and Jacob Lofland, who both gave impressive performances that felt well beyond their years. Throw in Sam Shepard, Michael Shannon, and Reese Witherspoon and you have a 21st century Huck Finn type adventure. 7. Stoker- South Korean director Chan-wook Park, who is best known for his 2003 revenge opus Oldboy, finally decided to make his first English language film with Stoker, and in doing so created one of the creepiest and haunting thrillers of the year. 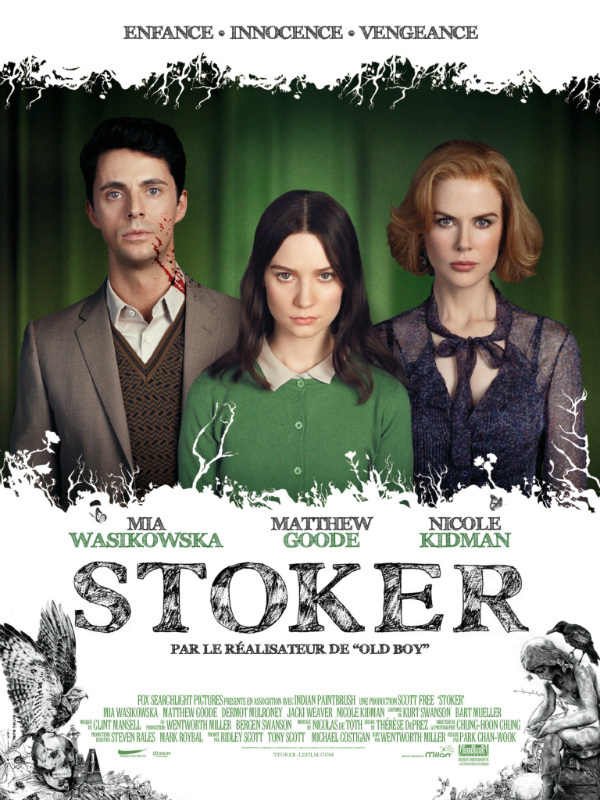 Hypnotic and dreamlike, Stoker is wonderfully cast led by Nicole Kidman, Mia Wasikowska, and Matthew Goode, who played the secretive uncle to perfection. With a similar vibe to that of Hitchcock’s Shadow of a Doubt, I’ve watched this film three times now, and it remains just as spine tingling as my first viewing. 6. 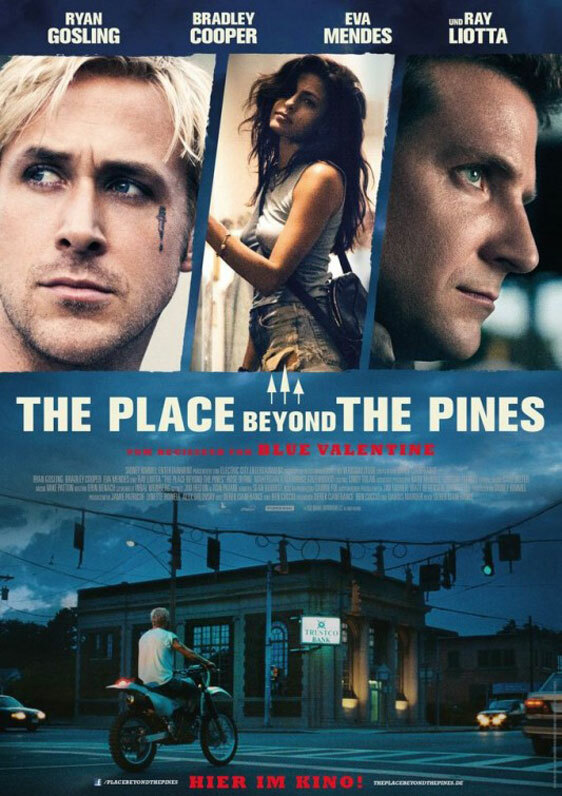 The Place Beyond the Pines- After the critical success of the painfully beautiful Blue Valentine back in 2010, writer/director Derek Cianfrance and Ryan Gosling joined forces again, creating the most ambitious, multi-generational crime drama of 2013. This rewarding film deals with weighty subject matter including the idea that the sins of the father get passed down to the son. Some fellow film friends had issue with the third act, and while I can admit it wasn’t as impressive as the first two, I felt it did a very good job tying the film together and bringing the story around full circle. 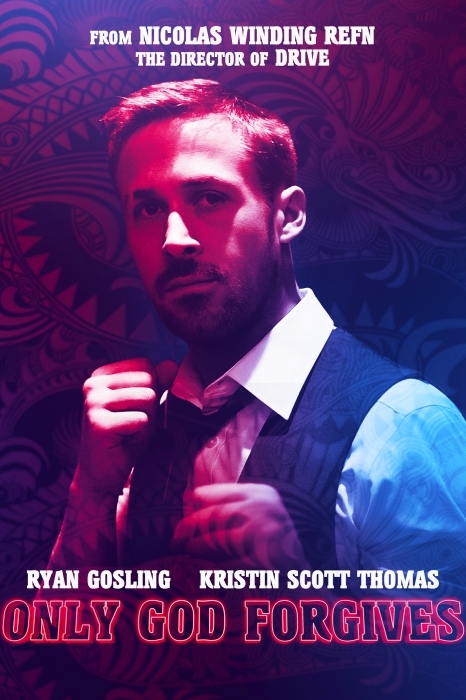 I love that Ryan Gosling continues to pick challenging, outside the box roles, and with his performances in Pines and Only God Forgives, for me at least, 2013 didn’t disappoint in that regard. 5. 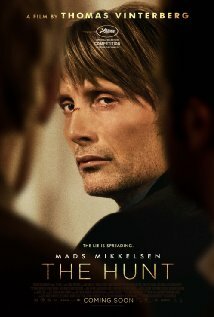 The Hunt- Danish actor Mads Mikkelsen remains one of the most underrated thespians on the planet, and The Hunt, a frightening and heart-wrenching Danish film about a teacher wrongfully accused of inappropriate contact with a child, is yet another example that I speak the truth. A sign of a great movie is whether or not it creates an emotive response in the viewer, and this spellbinding film took me on a roller coaster ride of emotions and left me absolutely drained at the end. 4. Her– For a large number of film fans and critics, the “game changing” science fiction film of 2013 was and will be Gravity. However for my cinematic tastes, no film made more original or creative strides in the science fiction genre than this beautifully quirky little romance story between a lonely writer on the verge of divorce and his newly acquired A.I. Operating System, named Samantha. When it comes to writing unique and original material, writer/director Spike Jonze is simply on another level. Even more then this film’s awkwardly sweet love story, I see the lasting impact of this film being Jonze’s intellectually dense, higher level A.I. story that is on par with the likes of Blade Runner, and dare I say, maybe even 2001. 2. The Wolf of Wall Street- At age 70, most legendary directors are either kicked back, living on easy street or have kicked the bucket. Martin Scorsese on the other hand was busy creating his best film since 1995’s Casino. Full of drug induced debauchery and sharp, biting humor, The Wolf of Wall Street is a titanically over the top satire about a sleazeball and his cronies who made piles of money screwing over a lot of unsuspecting people. Leonardo DiCaprio is electric on screen, completely immersing himself into the character and creating a riveting performance that rivals last year’s terrifying portrayal of Calvin Candie in Django Unchained. No film in 2013 made me laugh harder than Wolf of Wall Street, and I fully expect it to join the pantheon of classic Scorsese crime dramas Goodfellas and Casino. 1. 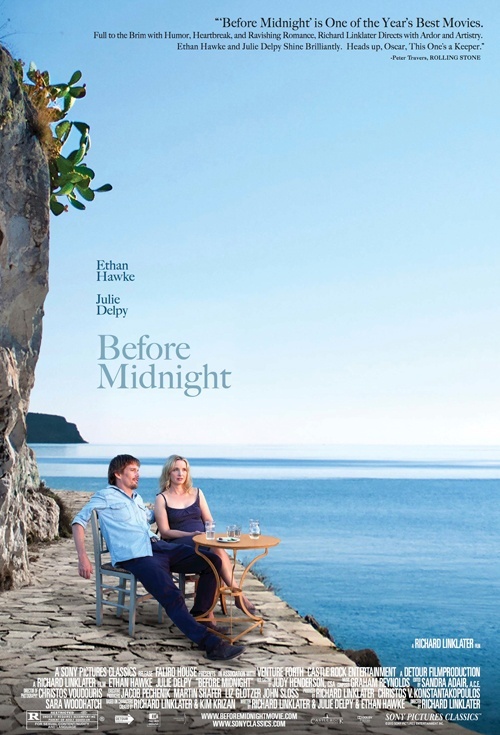 Before Midnight- There was no film in 2013 that I went into with higher expectations for than Richard Linklater’s Before Midnight. Admittedly, this is a dangerous way to go into a film viewing because it leaves you vulnerable to be disappointed by a film that would otherwise be appreciated. Needless to say (because it holds my #1 spot) not only did this third installment of the now famous trilogy meet my lofty expectations, it far exceeded them. With this latest addition, Linklater, Delpy, and Hawke have created one of the most original modern love stories that spans three films and almost two decades, and it can be argued that each film is better than the previous one (although my personal favorite remains Before Sunset). I came across a quote on letterboxd the other day from a gentleman by the name of Adam Kempenaar that I’m going to borrow because it best encapsulates how I feel when these films are brought up, “I find I’m utterly incapable of talking about these films in a rational, analytical way.” My hope now is for these three to team up yet again and wow us a fourth time in 2022. I’d disagree with your entire list—but I haven’t seen most of the stuff you’ve mentioned… and what I did see on your list, I didn’t like, except I thought Gravity was decent! Your nucking futs. Jeff near El Paso. oh yea, kind of liked Mud too.